At first glance the Velar (shown) seems to fill what Land Rover calls the “white space” between the compact Range Rover Evoque and the Sport. But it also could be the next Range Over Sport. The Range Rover Velar runs dangerously close to the Range Rover Sport in Land Rover’s luxury lineup. Is this an error, or a clue as how the British brand will reposition the next Range Rover Sport and other models? At first glance the Velar seems to fill what Land Rover calls the “white space” between the compact Range Rover Evoque and the Sport. The Velar is built on the same midsize aluminum platform as Jaguar’s F-Pace crossover and starts at 44,830 pounds ($55,700) in its home market. The cheapest Sport costs almost 15,000 pounds more. But the base Velar lacks a lot of the technology and visual extras that make the press-launch models so appealing. “To say the entry model looks a touch mean is an understatement,” one analyst told me on condition of anonymity. The brand’s next model up with the same 2.0-liter diesel engine costs 5,000 pounds more. Of the 26 different engine and trim variants available, only 10 are under 60,000 pounds. Using the option configurator, it’s possible to take the Velar past 100,000 pounds. At these prices, the Sport is now a rival. The Velar is a similar length to the Sport and has more trunk space. It will also likely handle better, given it uses Jaguar’s acclaimed new rear-drive biased lightweight underpinnings instead of the Sport’s heavier platform shared with the larger Range Rover. The Sport’s only real advantages are the choice of a third row of seats and a V-8 engine. The bigger engine will be important in some markets, but less so in Europe. The Sport currently ranks third in Land Rover’s global sales behind the Discovery Sport and Evoque. Its sales will decline, IHS Automotive predicts, partly through cannibalization from the Velar and partly because it is an aging model. IHS predicts the Sport’s volume will fall from 87,758 in 2016 to below 70,000 in 2019. In the same year the analyst firm predicts the Land Rover will sell 52,000 Velar worldwide. IHS predicts the next Evoque and Sport will arrive before the end of the decade. 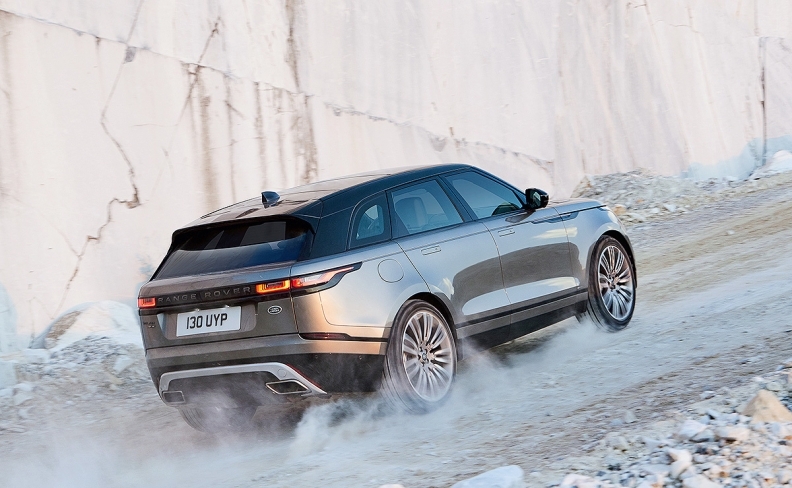 “The Velar could define how the next-generation Evoque and Sport stand in the range to give it a little more breathing space,” principal analyst Ian Fletcher said. Or perhaps the Velar is the next Range Rover Sport. “Maybe the Velar is set to gradually replace the Sport, while the Sport will become longer when it arrives in 2 to 3 years,” Felipe Munoz, global analyst for JATO Dynamics, said. It could be a smart tactic. Luxury automakers Bentley and McLaren have discovered that expanding the lineup means you can launch new models more frequently and smooth out the sales troughs and spikes that are part of the fickle luxury market. It doesn’t matter so much what the model is, as long as it’s new and desirable. On first look, that’s certainly true of the Velar.